As much effort as you might be putting into making high quality, relevant blog content, it’s not going to be very effective at drawing traffic, boosting brand awareness or building your brand authority if you don’t optimize your content for SEO (search engine optimization). Because millions of blog posts are being published every single day. 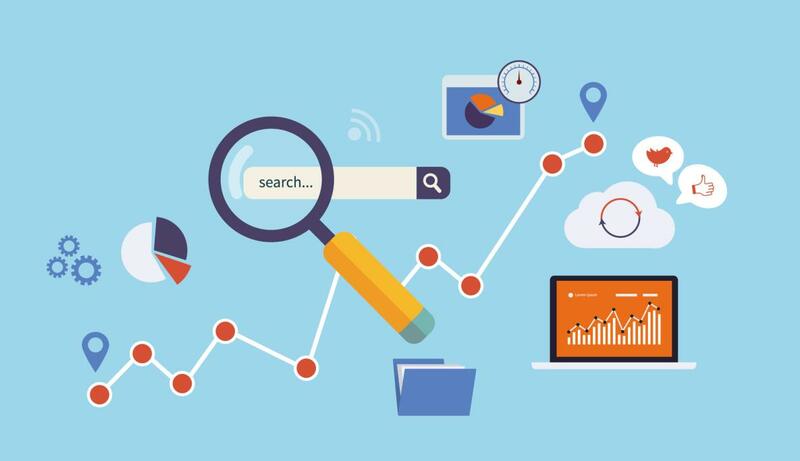 Optimizing your content for SEO will help it achieve a higher search engine ranking, which helps increase exposure to potential organic traffic. This means that good SEO is required in order to ensure that your content has the best chance of standing out from the crowd. However, you need to realize that optimizing your content for SEO isn’t the easiest of tasks. Search engines like Google don’t just track keyword usage. They take into account a huge number of factors, from the freshness of your content to social signals and much, much more in order to determine the ranking of a website on their SERP (search engine result page). 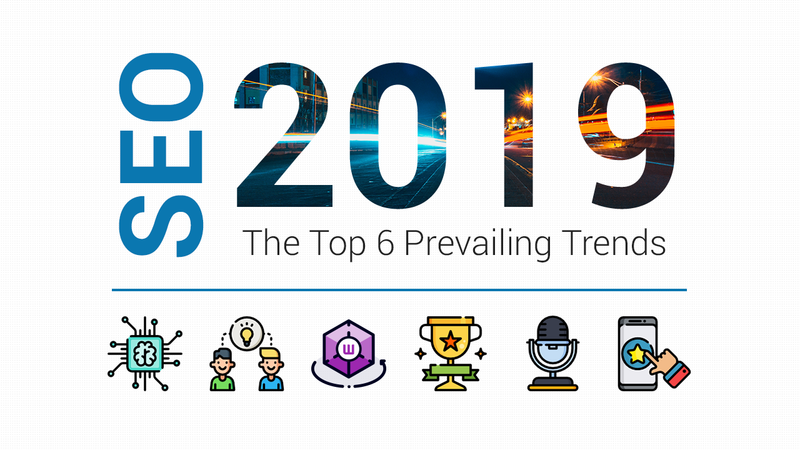 Aside from the over 200 ranking factors that Google takes into account in their search algorithm, there are plenty of other factors that would affect SEO as well. They are called indirect ranking factors. Factors such as meta tags, social signals, image to text ratio, etc are not a part of Google’s search algorithm, but that doesn’t mean that you should ignore them because optimizing them will still result in an improvement in your SEO. There are hundreds of rules to keep track of, all of which are determined by various algorithms developed by search engines like Google. Google updates its algorithm at least two to three times a day in order to discourage black hat tactics and to ensure that only the best, most relevant content is ranked highest on their SERP. Not to mention that Google typically releases major updates once or twice a year that can cause the entire SEO landscape to change. There are two forms of SEO to worry about. On-page SEO involves optimizing the content on your website for SEO in order to improve your website ranking. Off-page SEO involves boosting your website’s ranking through strategies that take place away from your website, for example, engaging on social media, participating in forums, obtaining good customer reviews and more. As you can see, optimizing your content for SEO can’t just be an afterthought. It’s an important strategy that you need to focus a lot of effort on. 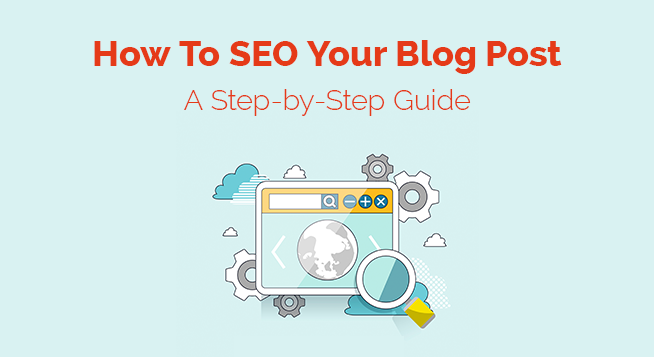 The following is a step-by-step guide for doing on-page SEO for your blog. That’s right, you can’t just come up with keywords off the top of your head to use for your blog posts. If you want to your keywords to be effective at helping you obtain a high search engine ranking and at drawing in qualified leads, you need to do a bit of research. Your keywords have to be relevant to your content, they have to be relevant to your audience and they have to tread the line between being too general and too specific. You shouldn’t be writing content yet if you don’t know who your target audience is. Without a target audience, your keywords won’t really matter. Even if they are relevant to your blog posts, they could be bringing in the wrong audience, made up of visitors who have no interest in your brand. Once you have figured out who your target audience is, you can figure out what their needs are, which makes it much easier to figure out what they are looking for. If you understand how they are searching for solutions to their needs, you’ll have a better idea of what kinds of keywords they might be using in their searches. When you choose keywords to use for your blog content, you should research their search volume. You can do this using a free AdWord tool called Keyword Planner, which allows you to see how often your keyword is used in search and can provide you with predicted clicks and estimated conversions based on that keyword. These statistics should help you determine if the keyword will be of value to you. There are plenty of free keyword analyzers out there that allow you to identify what keywords your competition is ranking for, and which of those they are ranking highest for. This can help you determine whether you want to directly compete with them using the same keyword, or if you want to use a keyword for which they are ranking low on. Analyzing the keyword use of your competition is also a good way to get ideas for new keywords. You might not think that the titles of your blog posts have any impact on SEO, but you’d be wrong. Blog titles have to be effective at conveying what your content is about as well as being unique from other similar articles and blog posts throughout the web in order to stand out to both Google as well as readers. For the most part, you should keep your blog titles relatively short. This way they are easy to read on mobile devices and easier to scan in general. Typically, the longer a blog title is, the less focused it is as well. Don’t try to fit in more than one subject into your title. Of course, a title that is too short may not provide enough information on what your blog post is about and may simply be too vague. Try to keep the title between 36 to 55 characters if possible. A blog title that is dull won’t stand out amidst pages of similar results. For example, “A step-by-step guide to on-page SEO for your blog post” is much higher in quality than “A guide to SEO.” There are hundreds if not thousands of similarly titled blog posts, which means that if your piece isn’t ranked in the top three results, it’s more likely to be skipped over. But with a unique blog title, it’s more likely to draw attention. If you need inspiration for creating blog titles, try checking out our new SEOPressor Blog Title Generator. Because the keyword you are using for your blog post is in effect telling Google as well as readers what your content is about, it should be used in your blog title as well. When optimizing your blog title using your keyword, don’t try to force it in. You don’t want it to hurt the quality of your title, after all. However, if you’ve done the proper keyword research, then your keyword will probably appear naturally in your title without much effort. Ever copy and paste a URL to an email or a message only to realize it’s three paragraphs long? Be sure to keep your URLs short so that they are easy to read and uncluttered. Since the URL is meant to help search engines figure out what the content on the page is about, you might as well use a simplified form of your blog title to do just that. Like all of your other content, make sure that the keyword you use for your blog post is used in the URL as well. 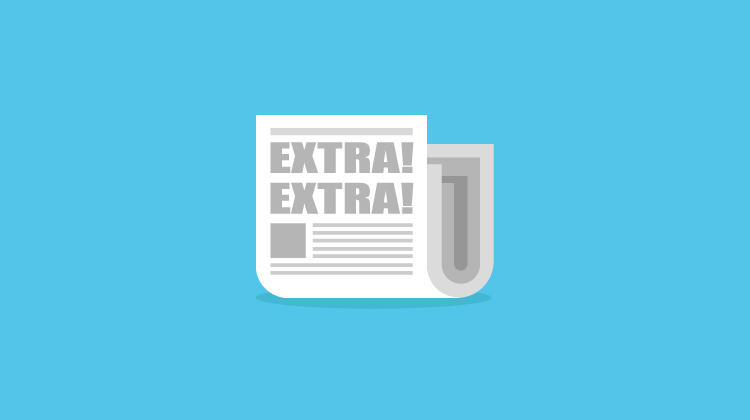 There’s often an urge to keep your blog posts brief. In fact, some bloggers and marketers strongly believe that this is the best practice. After all, the shorter your blog posts are, the more of them you can do – and regularly creating content is important to obtaining regular visitors. They also believe that shorter content can be scanned more easily, and therefore will be read more. While there is some truth in these views, you should think twice about writing short form blog content. First of all, people do read long-form content. In fact, people tend to share long-form content much more than short-form content. This is because longer content results in more in-depth, which means that it typically has much more valuable information, especially when compared to shorter blog posts, which generally only have the space to skim the surface of a topic. In addition to being shared and liked more often, longer content tends to get ranked higher on search engines, and it also tends to earn more backlinks. So how long should your blog posts be? To take advantage of how longer content performs, we recommend between 2,000 and 2,500 words. 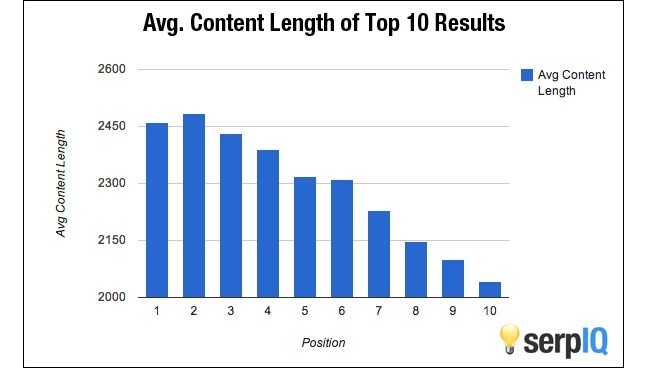 According to the data from serpIQ, the higher ranked sites do not have content that is too lengthy. Content length between 2,000 words to 2,500 words is just right. Now, you probably already know about the importance of keyword use, and we’ve already gone over the importance of proper keyword research. But how often should you use your keywords throughout your blog post? If you don’t use it enough, it may not have a big enough impact on your ranking. However, if you use it too much, you may be penalized by Google and other search engines for employing a black hat tactic known as keyword stuffing. Google looks down on this strategy because it’s used in an attempt to fool search engines into obtaining an artificially high ranking. To avoid accidentally stuffing your blog post with too many keywords, keep your keyword density between 1% and 3%. The readability of your blog post is essential for a number of reasons. This may seem extremely obvious, but it’s important to go over. A blog post that isn’t readable isn’t going to be read, it’s as simple as that. But it can affect your SEO efforts as well. There are a lot of websites that use software programs in order to churn out content. Their only purpose is to boost their site’s ranking. Google has taken great effort over the years to weed out this type of content from their search result pages. For the most part, they’ve done this by updating their algorithm to recognize gibberish. So creating readable content is now important to your search ranking just by way of not being gibberish. When writing a blog post, keep in mind that you don’t want to just inform readers, but entertain them as well. You don’t want it to be a drag for readers to get through or else they’ll stop reading halfway through. This is where storytelling comes in. By telling a story in order to convey information, you’ll make it easier for readers to relate. For example, say you are writing a post about how to get rid of bed bugs. Instead of just providing information on how to do this, present the information through a story by providing a setting (a home), characters (the owners and their family) and a conflict (a bed bug infestation) and the solution to the conflict (methods of getting rid of the bed bugs). Text decoration, such as using italics, underlining text or highlighting text in bold font, is a good way to break up the monotony of regular text as well as draw the eye of the reader to an important piece of information. Structure is incredibly important to readability. A giant wall of text is going to send readers scurrying away – and it’s going to make it more difficult for search engines to identify what your content is about. Break up your blog posts using bullet points, numbered lists and headers. This also makes it easy for readers to scan in order to get the basic idea of what your content is about. To ensure the readability of your blog posts, we recommend that you put your content through the Flesch-Kincaid Readability test. The higher your score is, the more readable your content is. The algorithm to measure Flesch-Kincaid readability score. If you’ve done any research regarding what attracts readers, then you know that visual content can be extremely beneficial to your blog. Images can help break up the monotony of text in a blog post as well as help to provide an idea of what the post is about. Try to include at least one high-quality image for every 100 words, whether it’s the use of a photograph, a chart, a graph or even an illustration. 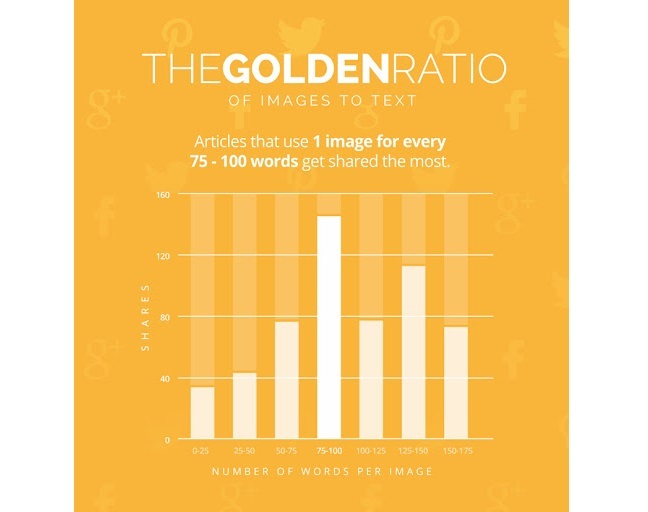 Studies have shown that articles with image to text ratio of 1 to 100 performs better and gets shared more often. Search engines cannot identify what your images are, which means you have to give them a little help. Alt text basically provides search engines with a description of your images so that they can index it and use it as a factor in your ranking. Since your images should be supporting your blog post, the keyword you are using in your content should be relevant to the image. Use keywords in the alt text when possible to further optimize your blog post. An image that’s too small is going to be ineffective; however, it can present issues if it’s too big as well. For one, it may be difficult to see on mobile devices. Secondly, an image that’s too big, both in size and resolution, can cause your page to load slowly, which can hurt your SEO. Meta descriptions are no longer as important to SEO as they once were, but that doesn’t mean you should ignore them. The meta description is the brief blurb about your web page that comes up during a search on Google or other search engines. Not only does it give search engines an idea of what your content is about, it provides readers with a brief description that can help convince them to click on your link, which is why they are important. Google measures the space taken up by meta descriptions by pixels and not character count, but the general rule of thumb is to keep your meta description under 155 characters to ensure that it fits. Use Keywords The use of keywords in your meta description will show users that your link is relevant to their search, thereby helping to increase the odds of bringing in more organic search traffic to your site. Although most bloggers and marketers are aware of keywords and their purpose, few of them properly use LSI keywords, or know much about them to begin with. LSI (latent semantic indexing) keywords are basically keywords that are related to your keywords. 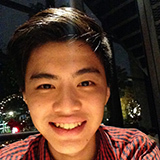 Although they are not used directly for ranking purposes, they are still extremely important. This is because LSI keywords help give search engines context for your main keywords. The thing about some keywords is that they can mean different things depending on context. For example, if you are selling refurbished Apple products, Google may misinterpret your keyword “Apple products” and display your web page for a query on apple juice. This is very bad for SEO because not only could you possibly be missing out on traffic from your actual targeted audience, but visitors could come to your site expecting something that you aren’t offering. This can result in a high bounce rate. 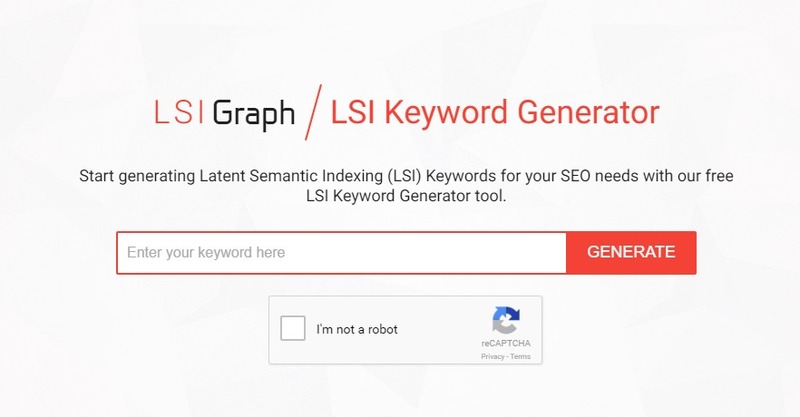 The LSIGraph tool is one of the best free tools to generate LSI keywords. 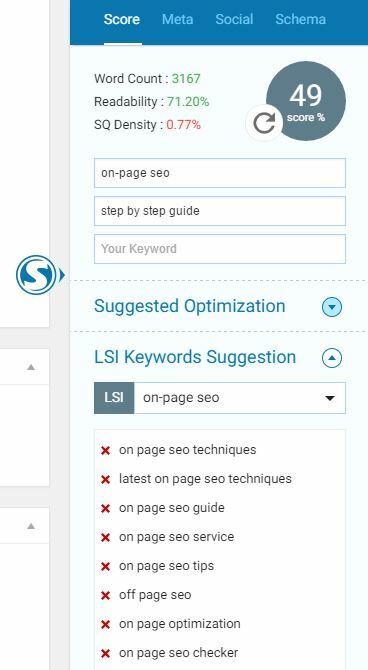 Our own plugin, the SEOPressor Connect, can also suggest LSI keywords by using the same LSI proprietary engine as LSIGraph. Link building has long been a popular SEO strategy. The process involves getting links to your website posted on outside sources, such as other websites. Search engines recognized outbound links as a signal of a webpage’s popularity and quality. Outbound links must come from reputable sources, such as authoritative websites. This means that you can’t use a link farm to artificially build up your links. Google will look at how you earn outbound links over time. If you earn all of your links in the first day of your post being published and then receive no more outbound links over the course of the month, it will hurt your page ranking. The more outbound links you earn from the same website, the less they are worth. So ten outbound links from ten different authoritative sites will factor in much more favorably in your ranking than ten outbound links from the same website. Outbound links aren’t the only thing you need to consider. Internal links are quite important as well. Internal links are essential to user navigation as well as site structure. The use of internal links helps to map out your whole site, which means that search engines will be able to crawl through each page more accurately when indexing your site. Without proper site structure, not all of your pages may be indexed, which could hurt your ranking. Not to mention that a visitor that can’t navigate through your site because of poor internal linking may just leave. Internal links in your blog posts can also help guide readers to other relevant content on your site, which helps to improve site time as well as engagement. One thing that you should keep in mind when linking internally is to make sure you use keywords in your anchor text. Not only do keywords help search engines identify what the content you’re linking to is about, but it will show them that it is relevant to the content it is being linked from. This step-by-step guide should help give you a better understanding of not only why it’s so important to optimize your blog for SEO, but how you should go about doing it as well. As you can see, there are a lot of work needed just to understand SEO and keep abreast of the latest updates. When it comes to the actual work of optimizing your content, there are even more work to be done. We, as content marketers ourselves, understand these pains, which is why we’ve designed a plugin that would ease the work of On-Page SEO. SEOPressor Connect analyzes your content in real time so you don’t have to do any guesswork, systemizes your SEO so you always know what you should do next to optimize your blog post. What’s even greater about SEOPressor Connect is that this is not the only features it has. 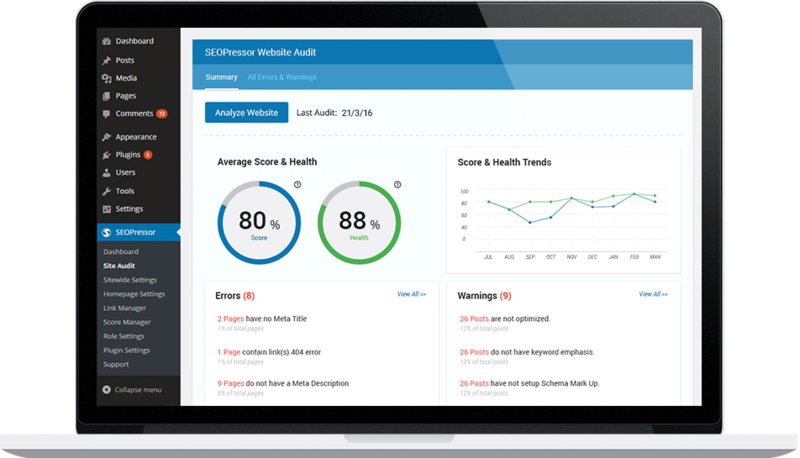 SEOPressor Connect also allows you to have an overview of your website’s SEO health, monitor all your links, allows you to fix any broken links in one dashboard, allows you to create robot rules with a few clicks, set up your Schema settings, set up your OG tags all with incredible ease. This is only a small list of what SEOPressor Connect could do, to learn more about SEOPressor Connect, please click on this link to see the full list of features. [Announcement] SEOPressor Connect Is Officially Live!